More awesome tiki’s! What types of glazes do you use? Hi Roxanne, Thanks! We used EM-1142 White Satin Glaze (Cone 06) for the creamy white finish, and EM 2112 Walnut Brown Creatable Colors cone 06 glaze for the shiny brown ones. I order all of my clay products from Laguna Clay Company. These are very nice. How do you get the students to add so many nice textures and details? I guess I should recquire it: ‘you must show at least 4 textures!’ I might have to try these; we’ve usually worked on the pinch pot creatures and coil pots or slabwork boxes; combining a lot of them would be quite fun. I will show my students tomorrow! Thank you again for the great ideas! Thank you for sharing you and your students talents! I think this project is cool because I like tikis a lot. This year my goal is to learn how to draw. 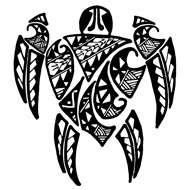 The Ceramic Tiki Sculpture project caught my attention because of it’s very detailed symbols and carving on the sculptures. This year I hope we get to work with clay like last year when we did with the ceramic castles. 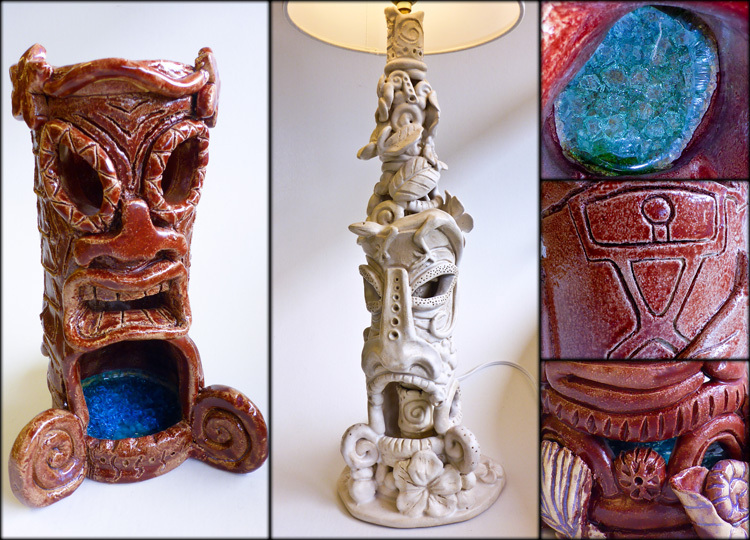 The ceramic tiki sculptures really catch my eye because of the details. I think that its really cool and this would be a fun project to make. The kids really did a great job! They carved it really good and made the designs and details pop. This year I hope we also have an opportunity to work with ceramic tiki sculptures. Hi! 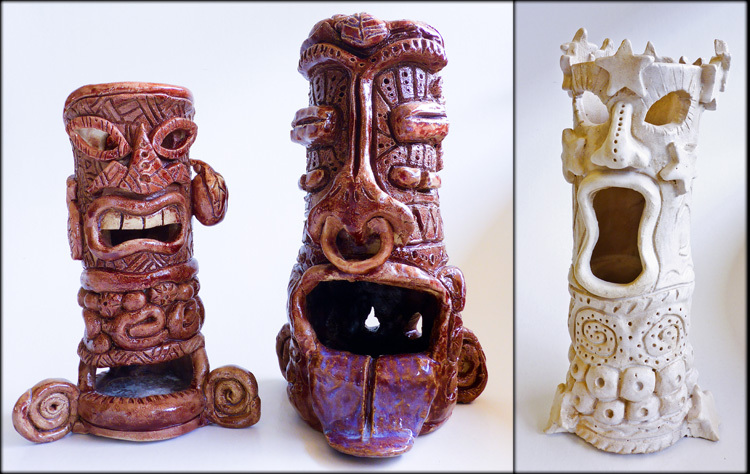 The ceramic tiki sculptures are so awesome! The tikis caught my attention because of all the details put into the sculpture. The different types of faces and designs on each one is really cool, and the students did a really good job on it. I can tell that a lot of time and effort went into making these tikis. I hope that sometime in the future I will be able to make something really cool with the clay. Some ceramic animals or something like plate-ware would be awesome (anything is really cool with the clay!). I hope I get to do something like this in the future!